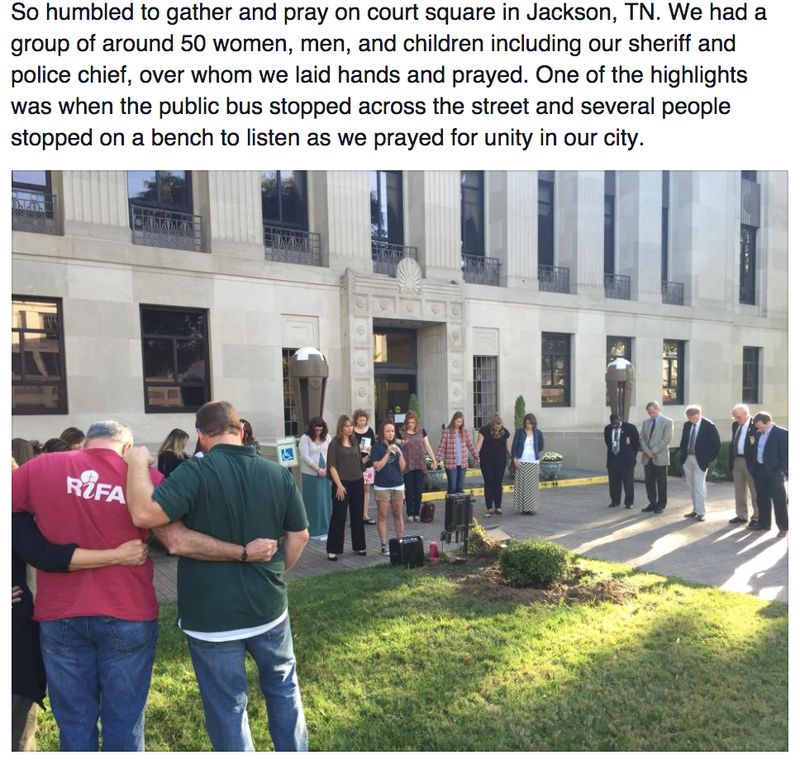 Last year, we had the opportunity to join together in prayer for our communities and our world. As a result of this, we have seen God on the move through the lives of the women we get to work with and minister to through IF:Gathering. On September 14, we have the chance to gather together again and seek the LORD on our knees because we know that He will be found when we pray. None of what we're seeing happen takes place without prayer. 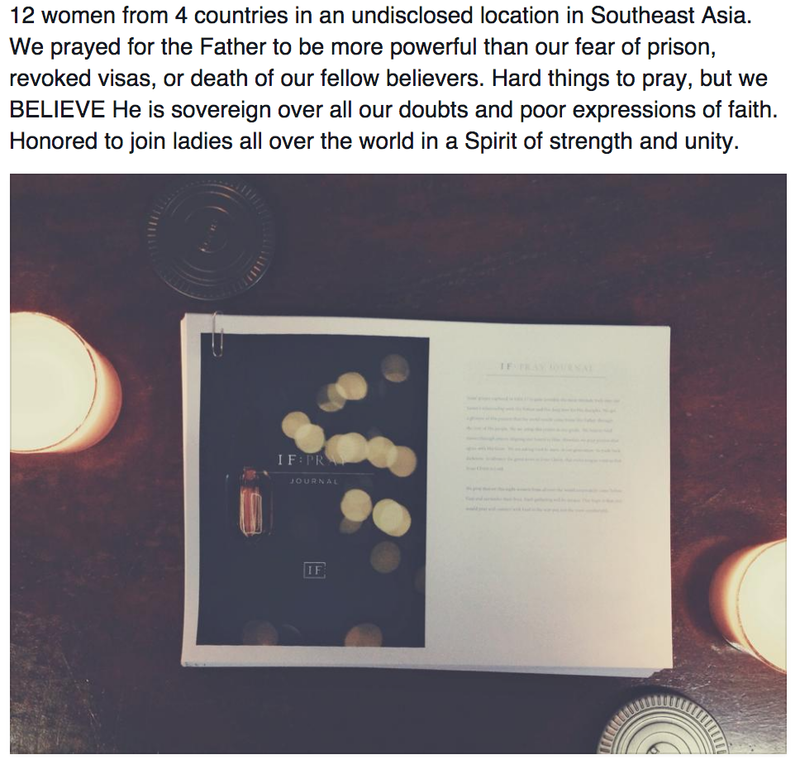 Below is a post I wrote last year and it is my hope that it will encourage you to gather with us for IF:Pray 2015. We come with expectant and humble hearts to the God who is bigger than we could ever imagine. For more information on how you can get involved with IF: Pray on September 14, click here. On September 23rd, over 150 years ago Jeremy Lanphier held a prayer gathering in New York. 6 people came. SIX. Over the coming months, as the world faced new tragedies, his little prayer gathering grew to 10,000 people and birthed the Third Great Awakening. 6 people praying sparked worldwide revival. 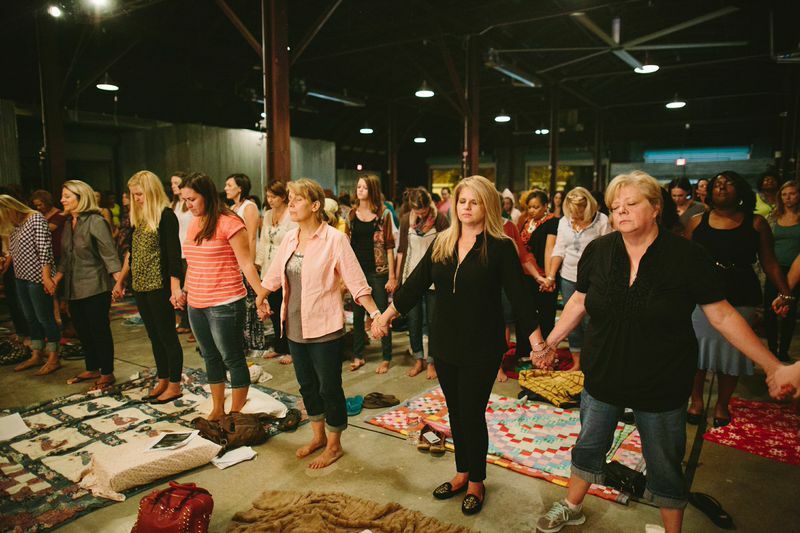 On September 23rd, 2014, women stepped out in faith, opened their homes and churches, and gathered in parks and warehouses around the globe. They met to pray. Pray. We prayed for the church, for our own souls, for the world, for our role in meeting needs, we confessed our sin and thanked God for who He is. We prayed. It wasn't fancy. It wasn't much for the world to take notice of and yet I don't know that I have ever seen anything more beautiful in my life. As I scrolled the internet the next day, photos from around the world began to come in. Women told stories and posted hundreds and hundreds of photos of their people in their places. Here are just a few. Aren't you just dying?! Imagine scrolling through hundreds? God is moving through YOU and if you gathered 2 or 20 or 200 it was done in faith- God moves through faith. We are believing God for the greatest of things.As I said in Austin, we will not presume revival upon God- we will just believe He could and pray that He will. I don't know what is next dear friends but I am learning to be ok in that. Do you want to gather your people and pray. Learn how here. And registration for IF:Austin and IF:Local 2015 goes up Tuesday. Join the email list so you don't miss anything! What can we pray for you? And if you gathered and prayed this week- will you tell us all about it? I don't want to miss a thing!